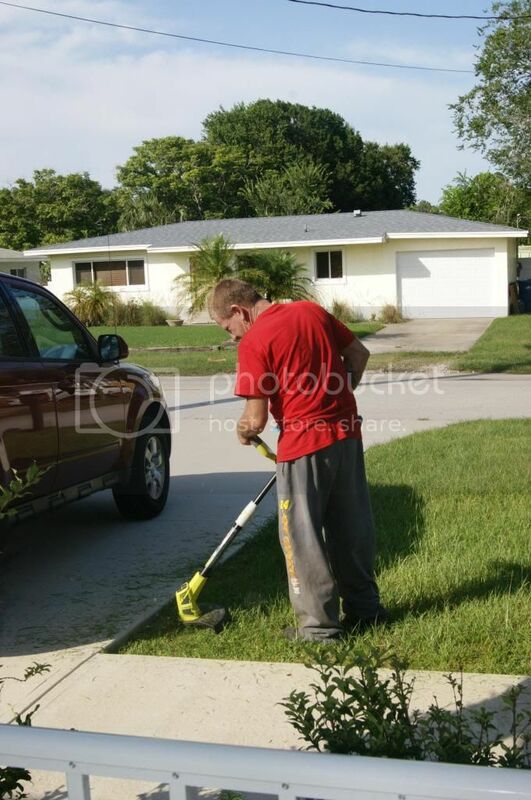 Andrea's World Reviews: Ryobi ONE+ Lithium Hybrid Trimmer/Edger Review & GIVEAWAY!! 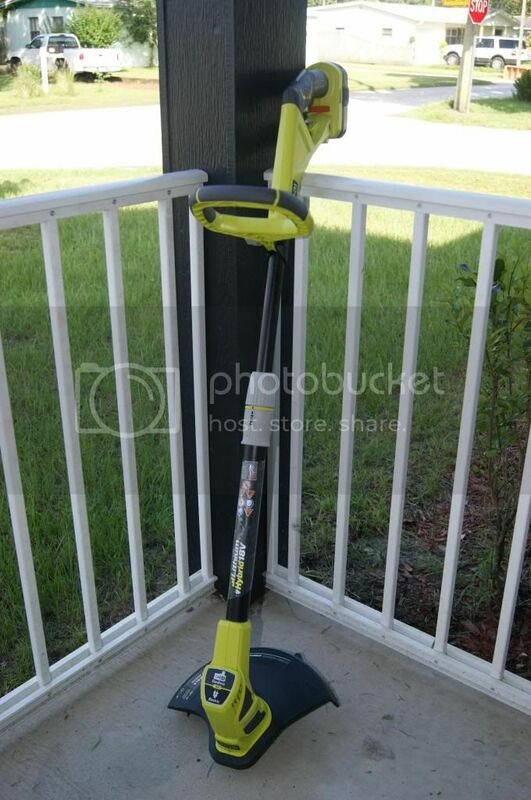 Ryobi ONE+ Lithium Hybrid Trimmer/Edger Review & GIVEAWAY!! With Father's Day barreling towards us like a freight train, the time to get the perfect gift for dad is running out. In my mind, Father's day basically marks the beginning of Summer. And for our family, Summer is all about getting outside and having fun as a family. Our yard becomes the centerpiece of our day in the summer months. When the yard is running rampant and looks like a jungle, it makes it very difficult to enjoy. 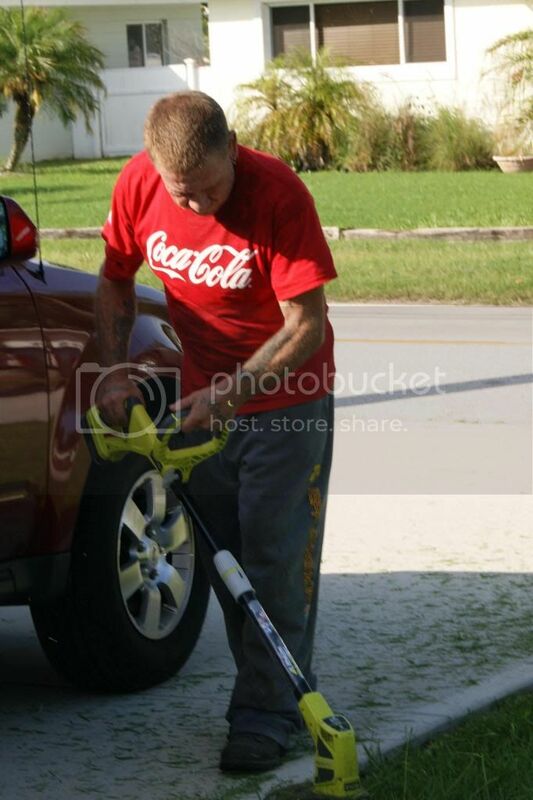 My husband works very hard to take care of the yard. In fact, he works too hard. The yard work takes him way too long, so long that is deprives him of fun time with us. It should not be that hard. I knew there had to be a better way, and then it hit me, when you have the right equipment, things are bound to go more smoothly. My husband uses a gas powered push mower and a weed eater. Having to mix gas and oil, refill gas, re-crank the weed eater, manually advance the line and so on really eats up a lot of time and causes an abundance if unnecessary effort. I decided that a practical gift would be perfect for Father's Day, and something that that makes less work for my hubby, and that makes our outdoor family time more enjoyable would be perfect. I wanted to get him better Lawn care equipment. Since I wanted to upgrade his current equipment, I obviously wanted the best that I could get, so I wanted a brand I know and trust. Ryobi products are incredible. The quality is out of this world, especially for the affordable price. I knew that a Trimmer from Ryobi would be perfect. 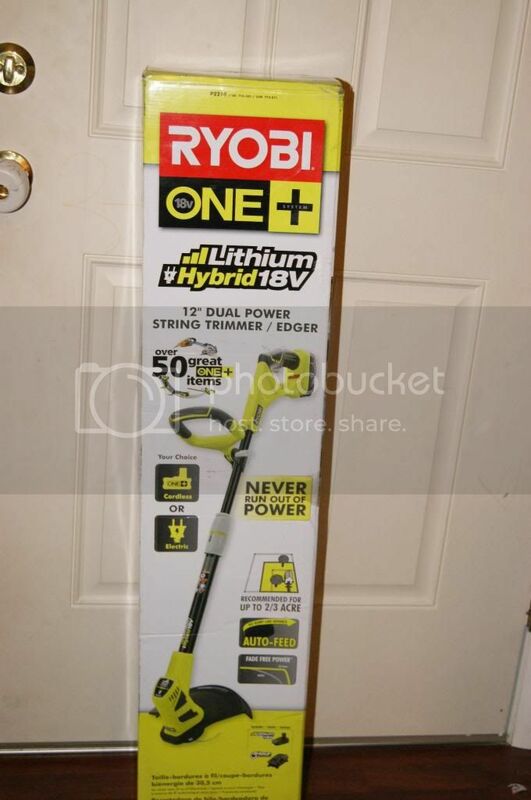 I got him the Ryobi ONE+ Lithium Hybrid Trimmer/Edger. Just as I expected, it is wonderful. This is everything that his old trimmer wasn't. It is lightweight, quiet, easy to handle plus it is not powered by gas. This amazing trimmer runs on an 18-volt Lithium-Ion Battery. That makes it so perfect for quick jobs, just grab, whack and done. But that might not be practical for larger jobs. No problem, that is where the Hybrid aspect comes in handy. For larger areas, you can use a power(extension) cord. Being able to use this on the electricity from your house is awesome. Never having to be bound by battery life or fuel is so great. I love that this is cleaner on the environment than gas powered trimmers. What really sets this apart is how easy it is to use. It is so fast, and it is very powerful. The auto advance line makes the process go so quickly. Also, because this acts as a trimmer and an edger, it really makes the job a breeze. 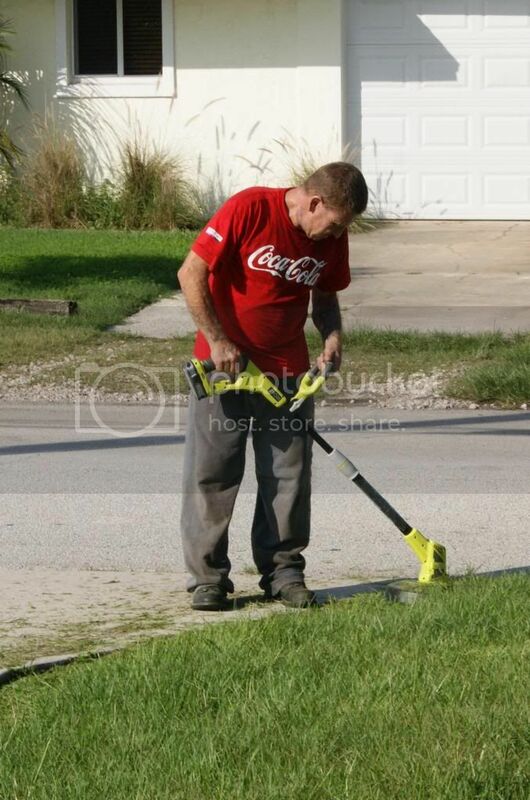 Hubby would try to do edging with his regular weed eater, and it did not go very well. He loves this though. We were both amazed by how quickly he finished the trimming and edging. The battery life was very impressive too. It got much more than we had thought it would, and it charges up very quickly too. Everything about this is perfect. This may not be the most fun gift for Father's Day, but it is practice, something that will be put to use every week(or more) and make dad's days a little easier. The gift of time, that is priceless. This would be a great gift for any father that does not want to kill himself to care for the yard. And for that reason, Ryobi and I are hosting a giveaway for a Ryobi ONE+ Lithium Hybrid Trimmer/Edger. One very lucky winner will receive this incredible trimmer/edger. Simply enter below for your chance. Good luck. I love that the battery life last a while and charges quickly! Thanh Bối Ma Ngưu hét một tieng lớn, nhanh chóng đánh về phía Bát trưởng lão của Hắc Ám thần điện. Nhị trưởng lão của Cuồng Sư môn thấy thế thì chuyển động đấu khí, Hám thiên chưởng ngưng tụ mà tấn công. Hám Thiên chưởng là đấu ký thiên cấp sơ giai, uy lực vô cùng cường hãn. Nhị trưởng lão của Cuồng Sư giơ hai tay trước không trung, một chưởng ấn hung hăng bổ về phía bát trưởng lão. Ba người đồng thời công kích bát trưởng lão của Hắc Ám thần điện, đối mặt với sự công kích này, thần sắc của nhị trưởng lão cũng trở nên khẩn trương lên. Bát trưởng lão của hắc ám thần điện ngưng kết một quang cầu bổ về phía Thanh Bối Ma Ngưu, bàn tay phải thì nghênh hướng về phía nhị trưởng lão của Cuồng Sư môn, nồng đậm hắc mang thì bắn về phía Kiếm Âm dương của Nhạc Thành. My favorite is not having to worry about batteries or fuel...we need one of these. I like this trimmer because I do not have to make a fuel mixture for this trimmer and that it runs on a battery, and that it is lightweight! Need I say more! Awesome trimmer! I love Ryobi stuff! My favorite thing about the trimmer is that it's battery powered - no nasty emissions, no running out of gas. I like that it is quiet since trimmers can be really loud. I love that it's batter powered! I love that this trimmer runs on an 18-volt Lithium-Ion Battery. I like that it is battery powered and according to you it has a good long battery! I like the fact you can use either battery or gas. I also like the power and thst it acts like an edger also. Hubby would love it! My favorite thing is that it is lightweight! I hate struggling with heavy equipment! I like that it is cordless. Our current electric trimmer has to be attached by a long extension cord. my favorite thing about this trimmer is that it's cordless!! I love that it's battery powered. I'm sorry to be the bad guy, I purchased this the other day and quickly returned it. Maybe I got a bad one but after my first quick charge and only 8 minutes of light work it needed to be charged. Later after a longer charge and again light work it lasted only 10 minutes. I never return anything but this had to go. This is another nice product included in the list of best weed wacker .It has received a total rating of 4.5/5. 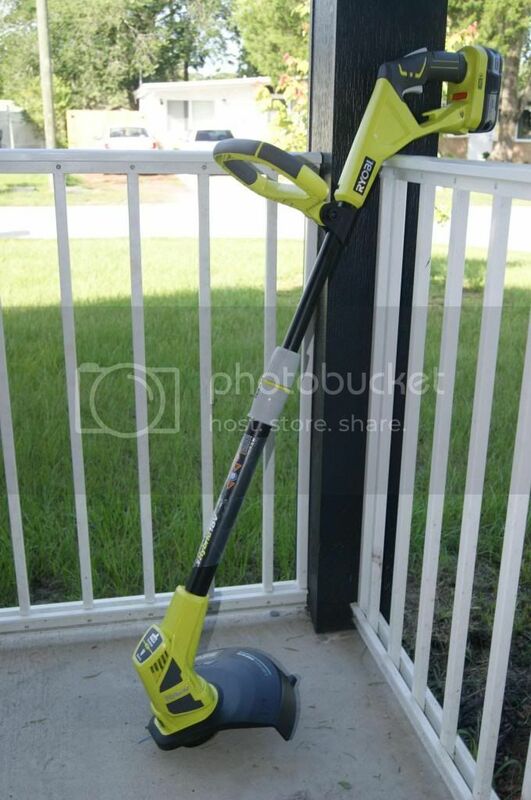 Black & Decker NST1118 is a cordless gardening tool powered by a 40V lithium battery. It offers an amazing functionality. With the tool, you can quickly trim your garden. I have a garden in front of my house. My garden was attract many people. I regularly clear it's weed. For that it look very nice. But now it's not look like that because now don't have much time for it. I can't clear it's weed. Because it take many time. 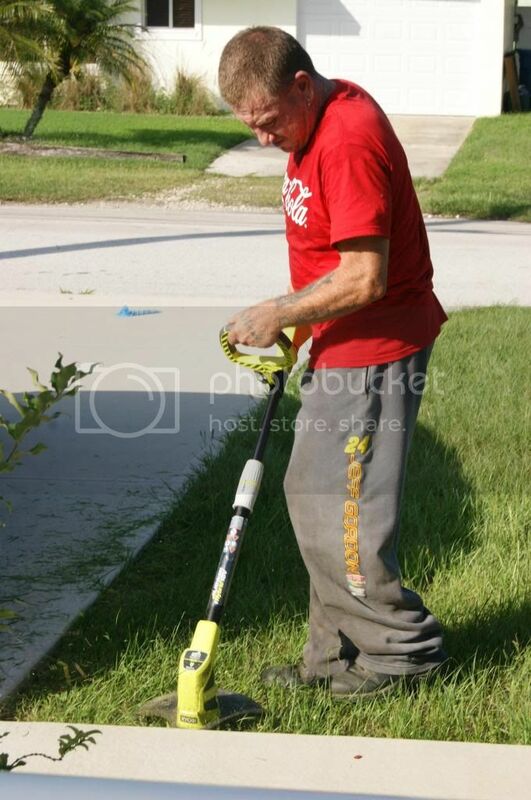 one day my friend told me about best weed eater. It really very good thing. Ryobi ONE is one of the best trimmer. Now is october, this is the best time to buy an self propelled lawn mower to mow your lawn for the winter coming, discover more. من أسوء الأمور التي علينا التعامل معها في البيت: الحشرات والسحالي والصراصير والفئران، والتي تتزايد في صيف دبي، لكننا سنريك الآن كيف تجعل بيتك نظيفاً من هذه الأشياء، سواءً كانت إقامتك في دبي طويلة أم قصيرة. لا تترك القمامة تتراكم، واحرص على نظافة المطبخ وإخراج القمامة ليلياً قبل النوم. تناول ما تشاء من طعام في بيتك، لكن احرص دوماً على تنظيف بقايا الشيبس والطعام من أريكتك وزوايا بيتك؛ لأن الصراصير مثلاً تتغذى على كميات قليلة من الغذاء. نحرص في “ماتك” شركة تنظيف أبوظبي على التنظيف في جهات يصعب الوصول لها مثل: خلف الخزائن وطاولة التلفاز ومقابض الأبواب والسطح العلوي للثلاجة. احرص دوماً على تنظيف أسفل الأجهزة الكهربائية في مطبخك؛ لأن بقايا الطعام تتراكم هناك. مرة أخرى: عليك إبقاء المطبخ نظيفاً طوال الوقت. إن لم يكن لديك الوقت الكافي فغسّالة الصحون هي الحل، أو على الأقل، قم بشطف الصحون من بقايا الأطعمة. عليك استخدام أوعية لحفظ الطعام، وعدم إبقائه على طاولة المطبخ. عليك إقفال أي فتحات تراها في بيتك؛ حتى لا تتسلّل منها الحشرات والفئران. أبقِ منزلك مرشوشاَ بشكل يومي. لا تترددوا الآن بالتواصل مع واحدة من أكبر و أهم شركات تصميم مواقع انترنت علي مستوي متميز و هي شركة سوقني التي تعمل بالمجال علي مدار سنوات فلديها خبرة واسعة. فريق مراكز صيانة سامسونج يتم تدريبه علي أعلي مستوي و علي أحدث تقنيات حيث يسعي المركز نحو تقديم أفضل مستوي و التأكد من النتائج . مراكز صيانة كريازي من كبري المراكز و أفضلها في مصر حيث تحرص دائماً علي تقديم أفضل العروض و الخدمات التي تساعد جميع العملاء فلا داعي للجوء لأشخاص غير متخصصة . أفضل شركة صيانة فريجيدير التي تتخصص بالعديد من الأقسام المختلفة حيث تملك خبرة بالتعامل مع جميع أنواع الأجهزة الكهربائية و المنزلية. خدمات صيانة ويرلبول المنزلية علي مستوي عالي من خلال فريق تم توكيله من الشركة لصيانة الأجهزة و التأكد من كفائتها. سارعوا الآن بالتواصل مع أفضل شركة نقل عفش الطائف التي تعتبر من أهم و أكبر شركات النقل و تستخدم أفضل الأجهزة و المعدات اللازمة التي تحرص علي حماية العش. سارعوا الآن بالتواصل مع واحدة من أقوي شركات تنظيف منازل بالمدينة المنورة و بجميع أنحاء السعودية التي تستخدم أكثر مواد تنظيف الفعالة و التي تقضي نهائياً علي الأوساخ و الأتربة المتراكمة. الذي يعد من أهم مراكز الصيانة و التوكيلات في مصر . أفضل مستوي خدمات في صيانة الأجهزة الكهربائية من خلال مركز صيانة كريازي الذي يعتبر من أهم و أكبر الشركات بمصر و الذي يضم العديد من الفروع المختلفة علي مستوي المحافظات . من خلال شركة اسفلت اكبر شركة سفلته طرق في جميع انحاء المملكة العربية السعودية تستطيع ان تحصل علي سفلته للطرق السريعه علي اعلي مستوي حتي تتجنب حوتدث الطرق الكبري وحتي تستطيع ان تحصل علي طرق مستويه وخاليه من الاعوجاج. تواصلوا معنا الان في صيانة وايت ويل حتي تحصلوا علي اقوي خدمات صيانة واقوي حملات لصيانة الاجهزة الكهربائية وومجانا من خلال فروع صيانة وستنجهاوس في جميع انحاء جمهورية مصر العربية علي اعلي مستوي.